Flatiron is a unique render-to-texture plugin for Autodesk’s 3ds Max. It is capable of baking full scenes or selections of objects into a single UV Map with a few clicks. Flatiron is a fast, simple, configurable automatic unwrapping and baking solution that massively accelerates baking complex scenes. Flatiron 2.30 – Corona support! 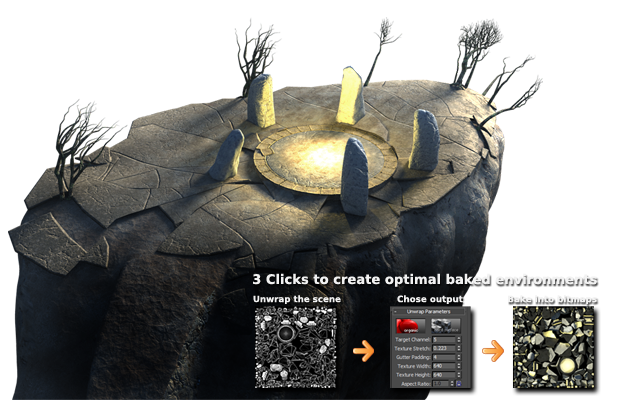 Unwrap and bake multiple objects into a single texture map with just few clicks. Crunch texture size and optimize your visualizations for Realtime 3D machines. Flatiron is best suited for video game developers, architetcs, 3D artists and product designers. 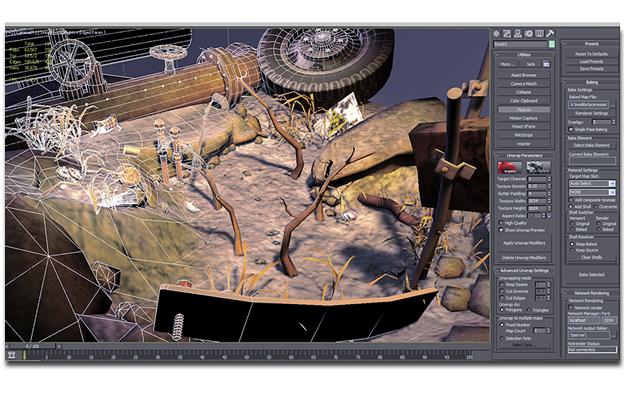 Flatiron can be used with all 3ds Max integrated renderers that have texture baking support. No matter if you use Scanline, Mental-Ray or plug-ins like V-Ray or FinalRender, Flatiron will work with all their render elements. Speed up your productions with Flatiron! Check out the demo version of Flatiron to experience the workflow improvements with your own scenes.